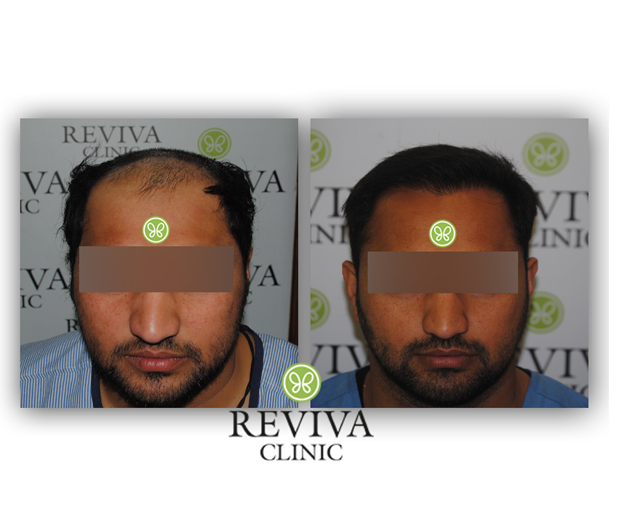 Change To - Reviva Clinic, A pioneer in FUE hair transplant in India was founded in 2008 by one of India's finest FUE Hair Transplant artist Dr. Prabdeep Sohi. Since its inception, Reviva has become the only clinic in India to have served more than 10,000 patients from around the globe successfully. Tested and respected, FUE hair transplant is the new age solution to the age-old problem of hair loss. 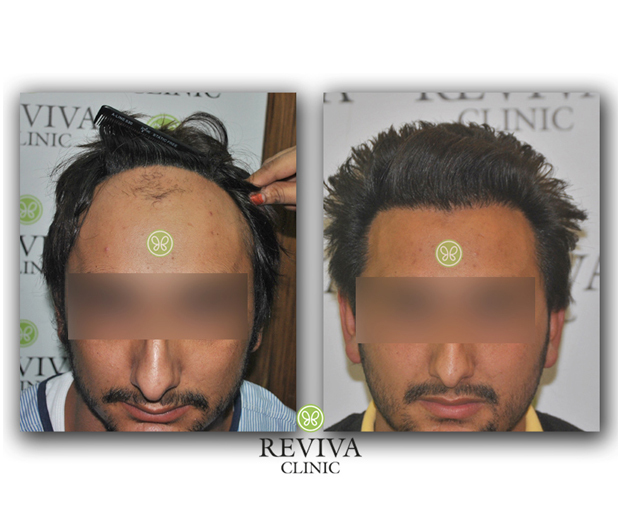 At Reviva Clinic, we specialize in this technique and with our premier hair transplant facility, we are the answer to the problem faced by millions of individuals all over the world. Dr.Prabdeep Sohi has done M.Ch. in Cosmetic and Plastic surgery from Post-Graduate Institute of Medical Education and Research (PGIMER), Chandigarh, the most prestigious institute for plastic surgery training in India. Dr. Sohi has many international and national publications in his name.Dr. 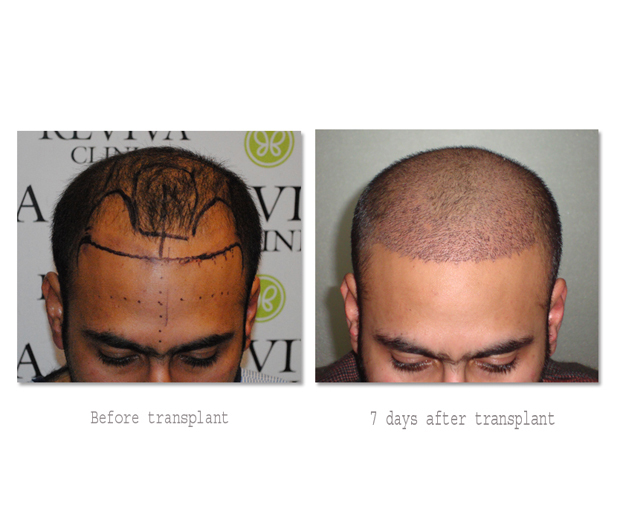 Sohi is pioneer of FUE hair transplant surgery in India. The removal of single live hair follicles to transplant is quite simple and painless with FUE extraction by Dr Sohi and his team. Dr. Sohi has been on the very leading edge of this procedure and has been performing FUE since its introduction in India. He has devised various instruments used in hair transplant surgery. He has made US patent pending, "Sohi FUE punch", this titanium tipped punch with a variable guard extracts the follicles more safely, with this we can transplant more than 4000 grafts in a day. 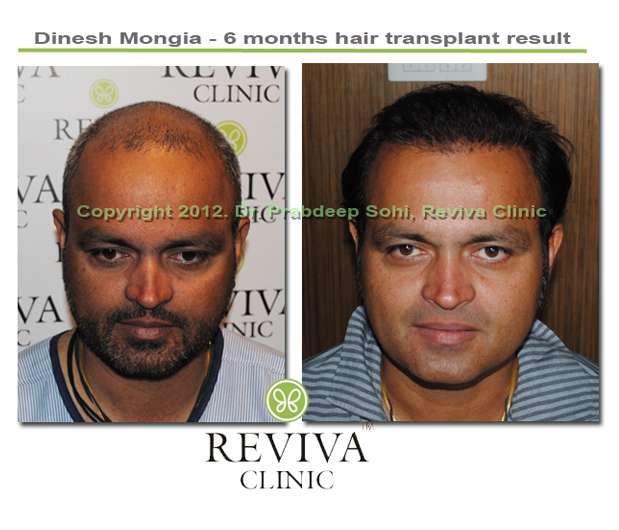 Within the time span of three years Reviva Clinic has become a pioneer of FUE hair transplant technique across India. 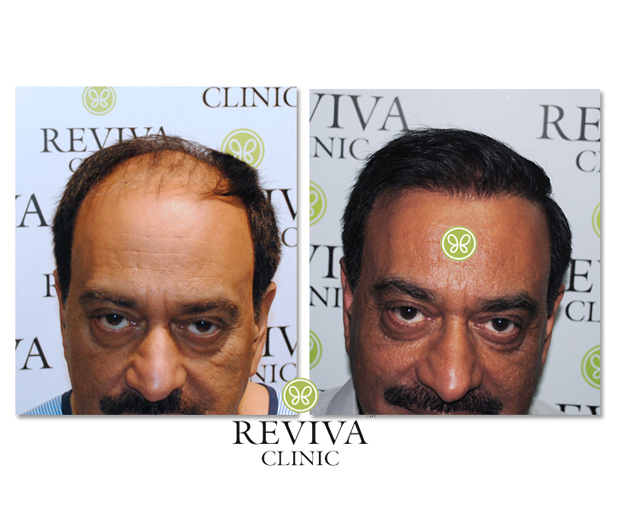 Dr. Sohi, with the help of his innate ability to work hard, leading innovative Techniques and immaculate trained professionals has taken Reviva to dizzying heights. Hair in the top and front are lost because they are genetically susceptible to hormones. Hair on the sides and back are immune (genetically) to hormones and are programmed to grow a lifetime. These hair will continue to grow lifetime, even though it is transplanted to different site. It is a medical fact and has been repeatedly proven over the years. Hair transplant is a procedure where individual hair follicles are moved from one part of the body (donor area) to the bald part of the scalp (recipient area). It is a minimally invasive procedure. Follicular unit extraction (FUE) is a method of graft harvesting in which individual follicles are removed from the donor area, one at a time. The advantages, when compared to traditional strip harvesting, includes less trauma, less visible scarring, more rapid healing and recovery. Although primarily used for graft production from the scalp, FUE has now been utilized for body and beard hair graft extraction. With proper instrumentation and methods, all patients are good candidates for FUE. FUE is a significant advancement in the field of hair restoration surgery and with experience, the results achieved are superior to those produced with strip harvest technique. 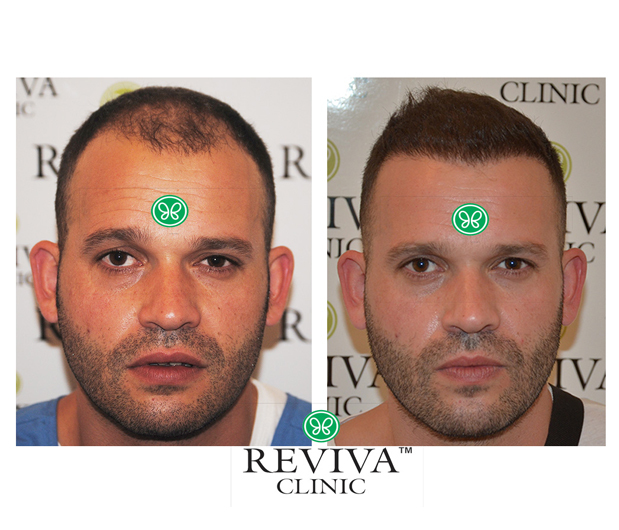 Hair transplant is not just a cosmetic procedure, it is an investment for a lifetime. You will not just reclaim your attractiveness and good looks, but also get your dignity and self-esteem back. Hair transplant in India has taken medical tourism by storm because of the cost-effectiveness of treatment in India as compared to other destinations. A huge number of foreign nationals and NRIs travel to India to seek hair transplant and other medical treatment every year. Our experienced team with a great sense of aesthetics and surgical expertise has helped a large number of patients in successful hair restoration, so relax you are in safe hands! We have state-of-the art operating theater as well as surgical equipment to achieve the best result. From the beginning of the procedure until the patient is being discharged, care is taken at each step. You will be given a complete printed information about post-op management and what to expect in the coming days. The hair transplant cost differs from one person to another. It depends on the affected area that requires hair transplant, the number of grafts needed to cover that area, and the number of sittings required. 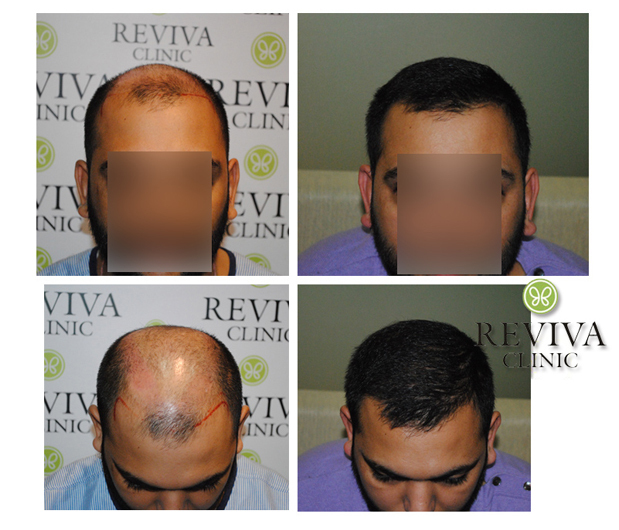 For a better diagnostic along with the precise cost of hair transplant, we would appreciate if you could kindly send us a set of photographs that can allow us to evaluate the number of grafts to be implanted. Click here to get your free consultation Now! Our facility in Chandigarh, India, is home to five, state of art Surgical OT’s, where hair transplant and several other procedures are carried out by the in-house team. Ensuring the absolute comfort of the person undergoing the procedure and the success of the procedure itself are our primary goals. We actively ensure that our patients decide to opt for the hair transplant procedure without an iota of doubt in their mind. We accomplish this by engaging the patient in detailed discussions and expansive consultation sessions about their situation and recommending nothing but the best solution to their situation. We ensure that our patients are made to feel at home by providing them with their choice of music and food, should they care for some, at our facility, along with a dedicated lounge to ensure the comfort of people accompanying them. The lounge is fully outfitted with entertainment systems and attendant staff who are designated to address the needs of our patients and their companions. Most importantly, the fact that our clinic is located in Chandigarh, which is just a stone’s throw away from the capital of the county, New Delhi, makes our facility the ideal location for overseas patients to plan their visits and sessions, well. The close proximity of our facility to multiple leading hotels and restaurants and shopping arena also helps our patients feel at ease and plan their sessions down to the minute. 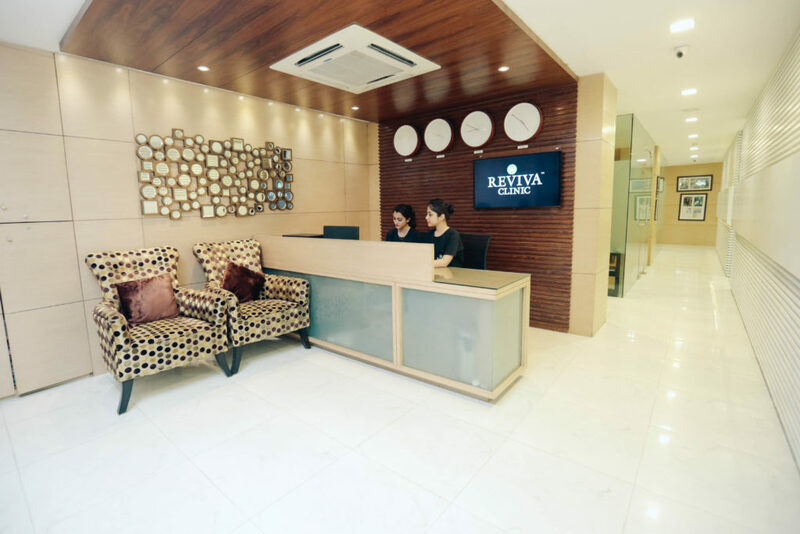 Reviva Clinic allows its patients the versatility of planning and the convenience of desired amenities, giving them a well-considered and an extremely satisfying experience. We fully understand the anxiety issues of our patients when undergoing the procedure and rest assured, we are really good at addressing them effectively. Dr. Sohi has been on the very leading edge of this procedure and has been performing FUE since its introduction in India. He has devised various instruments used in hair transplant surgery. He has made US patent pending, "Sohi FUE punch", this titanium tipped punch with a variable guard extracts the follicles more safely, with this we can transplant more than 4000 grafts in a day. 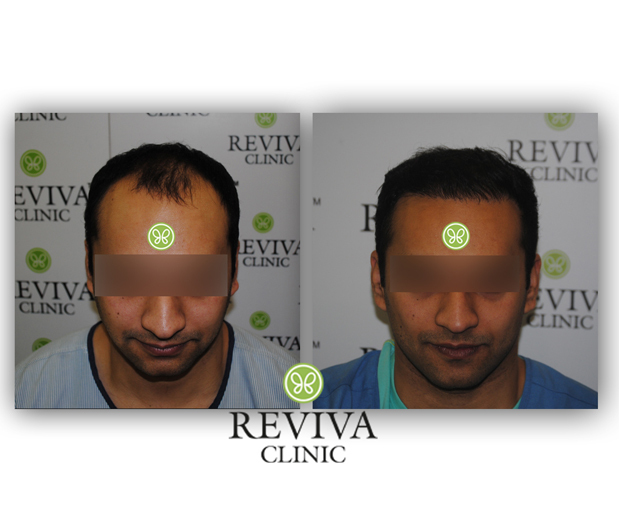 Within the time span of three years Reviva Clinic has become a pioneer of FUE hair transplant technique across India. Dr. Sohi, with the help of his innate ability to work hard, leading innovative Techniques and immaculate trained professionals has taken Reviva to dizzying heights. Dr. Deepika is a FUE hair transplant surgeon and was chosen by Dr. Sohi due to her high ethical, clinical, and artistic standards of excellence in congruence with the foundation of Reviva Clinic, after undergoing an intensive fellowship in the follicular unit extraction transplantation. Dr. Deepika’s passion and meticulous dedication is focused on ensuring that the ideal outcome is achieved for each single graft that is implanted. Dr. Deepika has a special interest in the artistic and humanistic aspect of hair restoration where her skill set and artistic pursuits in performing the complexities of hair transplantation converge to ensure that each patient’s expectations will be surpassed with the highest standards of excellence, compassion, and artistry. "My heartfelt thanks to Dr. Sohi and his team. His artistic skills are commendable. I’m deeply touched with his humble nature and quality of work. Cheers to Reviva Clinic." "Great plastic surgeon, he is not only one of the best plastic surgeon but also a very friendly and considerate human being. His staff gives you homely feel. 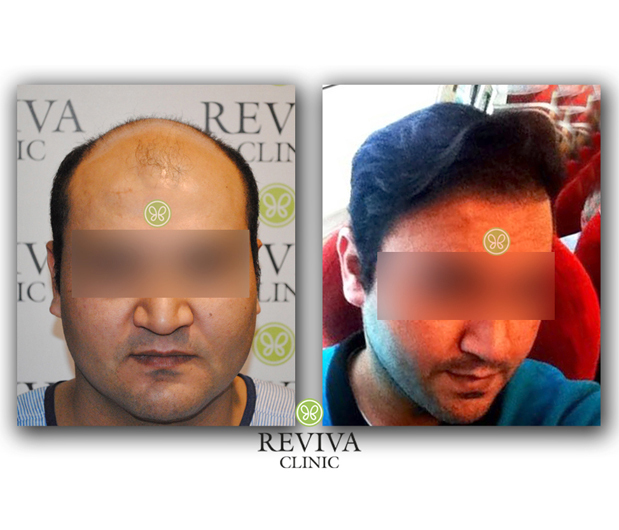 The result of my hair transplant surgery was great and I recommend to get hair transplant from him. " 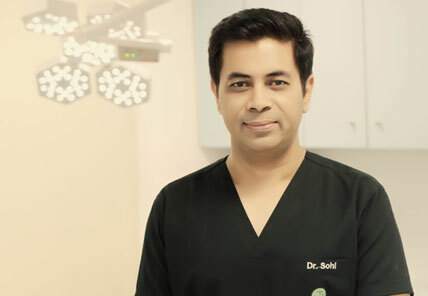 "Dr. Sohi is a renowned plastic surgeon with artistic skills. I owe my hairline and good hairs to him. 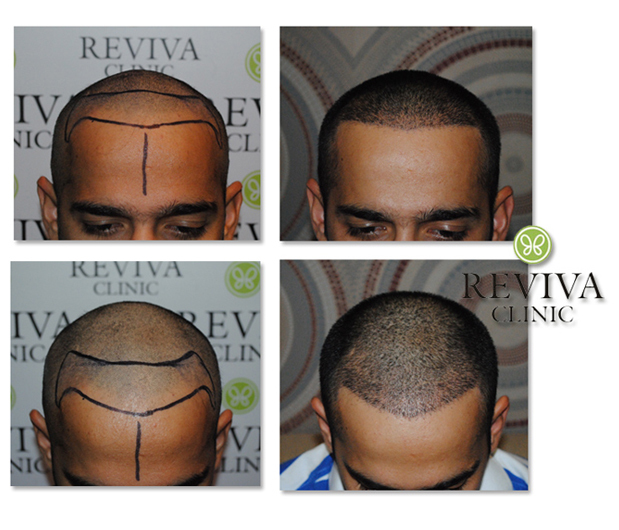 Reviva is simply one of the best hair transplant centre with high class facilities and homely staff. All thanks to reviva clinic." A Decade Off monumental experience and over 10,000 satisfied clients.